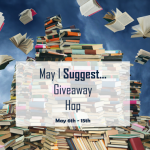 Clear Your Shelf Giveaway Hop – Escape Reality, Read Fiction! 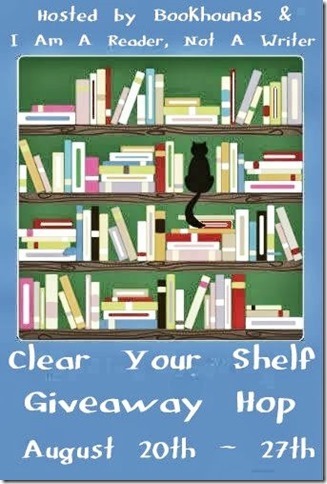 Welcome to the Clear Your Shelf Giveaway Hop hosted by Bookhounds and I Am A Reader. It’s funny that this is the “Clear Your Shelf” giveaway hop because the clearing is just a bit one-sided. I’m going to clear my shelves by giving away some books that I have already read and reviewed. So mine get a tiny bit clearer. But four lucky readers will win these books, so their shelves will get a tiny bit more stuffed. I call this a win-win. If you do too, enter the Rafflecopter further down the post. 1) Back to You by Lauren Dane. I reviewed this one earlier this month, and liked it a lot. This is the only book I’m giving away that is a published copy. All the others are print ARCS. 2) The Bourbon Kings by J.R. Ward. I’ll admit, this is a book I didn’t like. Maybe you will. 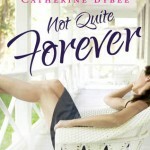 My DNF review is over at The Book Pushers. 3) Armada by Ernest Cline. 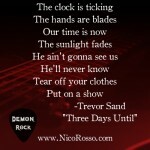 I liked this one, as you can see from my review in July. I just didn’t like it as much as I adored Ready Player One. 4) The Invasion of the Tearling by Erika Johnasen. 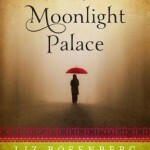 This epic fantasy series is awesome on so many levels. 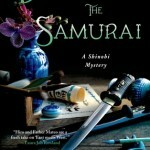 I was enthralled both by this one (see review) and by the first book in the series, The Queen of the Tearling, reviewed last year. There should be something for everyone in this list – or at least I hope so. The first question in the rafflecopter is “Which one do you want?” so that I can give the books to people who will really want them. Books should be loved. Or occasionally, as in the case of The Bourbon Kings, possibly hated with a passion. Invasion of the Tearling. Thx! I would choose The Bourbon Kings. Thanks for this amazing giveaway! I would love to win and get Armada or The Invasion of the Tearling! I would pick Back to You by Lauren Dane. Thanks! My shelf of books TBReviewed is empty, Just waiting for the next I’d won on a giveaway or the next giveaway I can win a free book on; as I DON’T accept requests to review a book. Otherwise is off to the site I usually pick books from to select my next read. Invasion of the tearling- thanks for the giveaway! I would pick Armada, I am dying to read that one! The Invasion of the Tearling – been wanting to try this one. I think I would pick Back to You by Lauren Dane. They all look very good. Thanks for your giveaway. I would like to read The Invasion of the Tearling. Thanks for this great giveaway. Armada by Ernest Cline hands down! XD I LOVED Ready Player One! The Invasion of the Tearling because I’ve been on big fantasy kick here lately and this sounds so good! I would pick The Invasion of the Tearling by Erika Johnasen. I would choose Invasion of the Tearling. Thanks! I’d love to win Invasion of the Tearling! Thank you! Thanks for the chance! I would pick The Bourbon Kings. The Invasion of the Tearling. Thanks for the giveaway! I’d pick The Invasion of the Tearling! Tough book decisions… But gotta be Invasion of the Tearling. I’d love to read The Invasion of the Tearling or Back to You. I would choose The Invasion of the Tearling by Erika Johnasen. I’d love any of them except The Bourbon Kings which I already have. My first choice would be Back To You by Lauren Dane. Armada – because Ernest Cline has owned more than 1 Dolorean. Id choose Armada. Hard choice between that and Invasion of the Tearling but I kind of want to read Armada more. I would pick Back To You. I would love to win a copy of The Invasion of the Tearling. Thanks for the great giveaway! Back to You. Glad to see someone else who doesn’t love all things Ward.